A: Sovereign Brands is a family-owned, international wine and spirits company headquartered in New York and Chicago. The company is owned and operated by my brother and me, with my father serving as chairman. We partner with first-class producers from the world’s most iconic wine and spirits regions to develop superior brands. Foremost in our portfolio is Luc Belaire – a smash-hit line of French sparkling wines. A: I founded Sovereign in 1999 and, after the successful development and sale of various brands, we launched our award-winning Luc Belaire line in 2012. 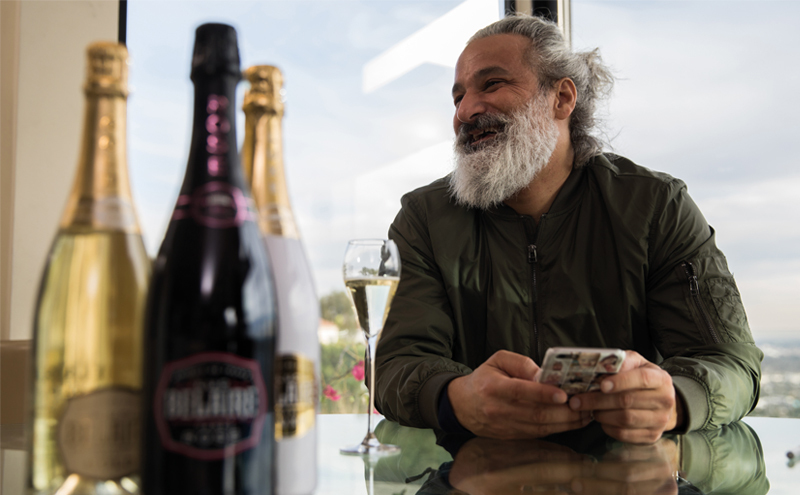 A: Belaire is crafted in France by sixth generation winemakers who ensure the elegant, refreshing blend that is characteristic of our house is consistent in every bottle. Belaire Rosé and Belaire Luxe Rosé are made in the heart of Provence-Alpes-Côte d’Azur from the three preferred grapes of the region: Grenache, Cinsault and Syrah. Our Luxe and Gold cuvées are pressed from 100% French Chardonnay in Burgundy. A: There’s no such thing as a typical working day. I might be visiting partners and distributors in one of the 100 countries where Belaire is sold, or interviewing Belaire’s celebrity fans for our video series. And I’m always available for our team, who are dispersed all over the world. Q: Please provide brief tasting notes for your products. A: Luc Belaire Rosé: a rich red fruit bouquet precedes an elegant palate of strawberry and blackcurrant. Refreshing but not too sweet. Luc Belaire Gold: tropical notes of mango complement fresh Chardonnay fruit and limestone on the palate. This wine has a light, dry finish. Luc Belaire Luxe: notes of apricot, honeysuckle and brioche are perfectly balanced so that Luxe can be enjoyed sipped chilled or over ice. Luc Belaire Luxe Rosé: aromas of fresh strawberry and raspberry. Rich and creamy on the palate, with more berry flavours coming to the fore, along with a light touch of wood. Surprisingly light and drinkable. A: We’re non-conformist. Typically, in the Champagne and sparkling sector you launch with a Brut. We didn’t want to do that. We wanted to create the best sparkling rosé in the world and we packaged it in this sleek black bottle. Our distributors thought we were crazy and advised against it. They said ‘you can’t see the liquid, it won’t work’. But I felt in my gut that it would, and we have carried that sense of rebellion throughout the development of the brand. 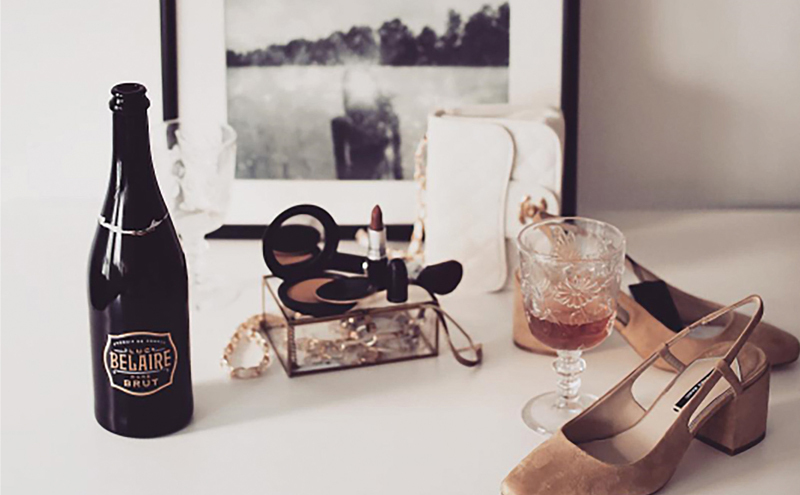 The Belaire brand is the fastest-growing French sparkling in the world! A: Belaire is successful because we have a legion of dedicated fans who ask for it in bars, restaurants and clubs all over the world. Each expression of Belaire is highly versatile, so we challenge the mixologists to create inventive ways of incorporating Belaire into their creations. A: For me, it’s launching a new creation out into the world. We spend a ton of time developing each of our brands. It’s such a powerful feeling to take something off the drawing board and see it on the shelf, in the hands of people around the world… it’s like having a child! A: All of the cuvées are wonderful served chilled as an aperitif. Luxe and Luxe Rosé are particularly refreshing over ice. But I love it when someone shows me a new creative way to enjoy our wines. I recently had a striking cocktail in London made with Belaire Rosé, whisky, elderflower and lemon juice and topped with a white chocolate mousse with grated nutmeg. It was the perfect winter warmer! A: For me it’s when our brands succeed. We developed the world’s top-rated Champagne, the fastest-selling Cognac brand in the world, the fastest-growing premium French sparkling brand in the world and now the fastest-growing premium rum brand in the world. I love to be disruptive and ruffle feathers in every category we go into and I think we’ve done well at that. A: I have a huge amount of respect for the ‘makers’ in our industry – the people who have a dream of making great wine, spirits or beer and start from the ground up. The industry is changing and smaller companies can now compete with the bigger players, since the public is looking for authenticity and craft. That is making things exciting. A: I spend time with my family in Chicago. Hard to say it’s relaxing, though – I just had my fifth child! A: I always tell our team that once we hit a certain special milestone with our brands, we’re all taking a trip to the Maldives together. So I’ll say my answer is that I’d take my whole team to the Maldives and drink Belaire in paradise!